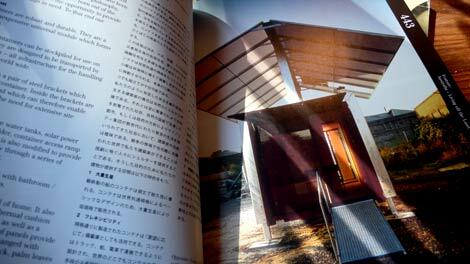 The August 2007 issue of the sumptuous Japanese magazine Architecture + Urbanism, or A+U, (previously recommended here) covers recent Australian architecture. 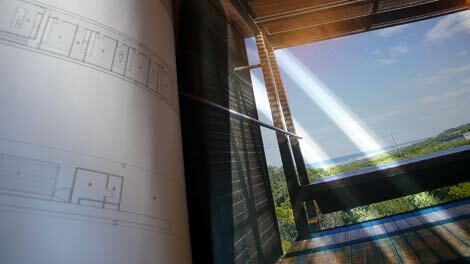 The selection of projects is fascinating, the presentation utterly sensational, and the architects involved are drawn from the cream of Australian practice: Wendy Lewin and Glenn Murcutt; John Wardle; Sean Godsell (featuring his Beach House, noted here); Donovan Hill; Durbach Block; Iredale Pedersen Hook; Stutchbury and Pape; O'Connor + Houle; Jackson Clements Burrows; Gregory Burgess; Casey Brown; Troppo. Few of the smaller interesting teams in Australia are covered but that's another story for another publication, I suspect. As a series of projects, it's hard to imagine a higher quality, or simply more beautiful, architecture anywhere in the world. Respected critic, historian and educator Philip Goad has written numerous books on Australian houses, and here contributes a great overview - seeing the distributed Australian coastal cities as 'islands', and thus the coast "an archipelago of conurbations". 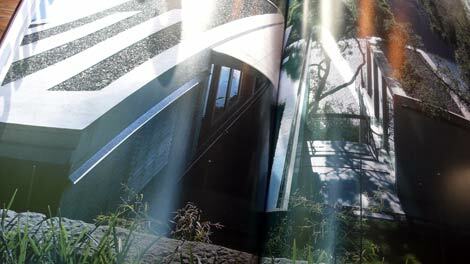 Comparing to a Japanese cultural understanding of the space between things, he sees the Australian sensibility as that of "the isolated object in the infinite landscape". This works at the level of the cities dispersed across Australia but also, zooming in Google Earth-style, at the level of dispersed housing within the terrain. Thus, "for the everyday Australian, (the detached house) still remains an inspiration whether as a suburban house, a beach house, or a bush retreat". "If the urbanization of Australia is a fact of life, the Great Australian Dream of living in one's own home on one's patch of land, like the Great American Dream it mirrors, is as much, if not more driven by history and mythology as it is by any rational criteria. 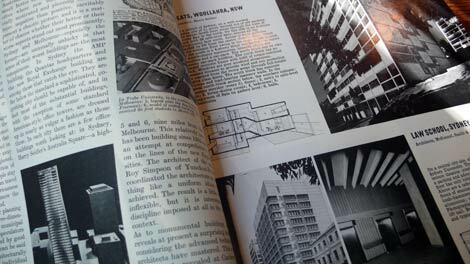 As the Australian architect and polemical author, Robin Boyd, put it, 'Australia is the small house'. ... 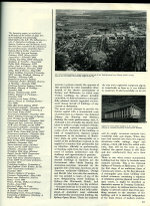 However, unlike his British counterparts, he also understood the outward spread and extreme low density of Australia's cities as the manifestation of a deeper, immigrant's yearning for space, and the need to find a foothold in a landscape, like North America's, with no apparent limits." 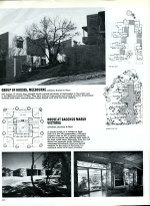 Perhaps this yearning pervades, for almost every project in this edition of A+U is residential, and represents a particular Australian take on residential at that. Many of these projects are situated on, or within, the beautiful Australian terrain, isolated in the infinite landscape. 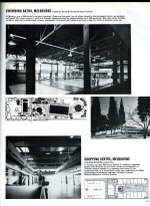 There are no urban projects as such in the entire edition. Some of them are in some of Sydney's outlying bays, but hardly in, say, a tight urban context with complex legal restrictions around use or conservation. But if the detached dwelling embedded within the infinite landscape is what Australians aspire to - though I'd guess it's rarely expressed like that - are these then defining Australian works? 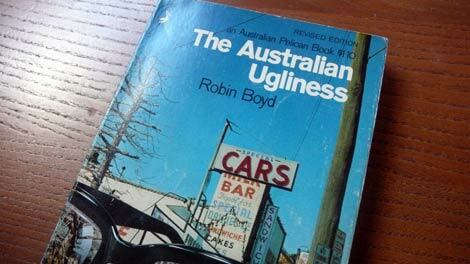 Robin Boyd, mentioned above, wrote one of the great books on Australian architecture and urbanism, 'The Australian Ugliness', first published in 1960. 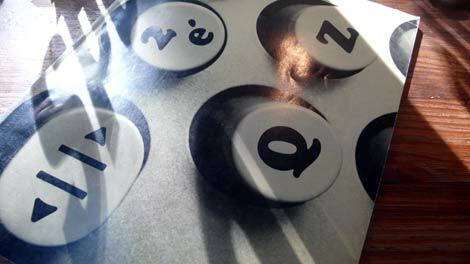 It's a brilliant book - it'll return here for sure. Written in a very different climate to that surrounding the work in A+U, and addressing very different issues, it's somewhat dated as a result. Yet it still affects, and Boyd is presence in both Goad's and Abel's essays. 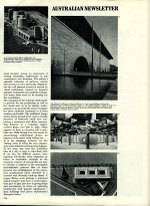 In '... Ugliness', Boyd described how it was difficult to define his country's architecture. 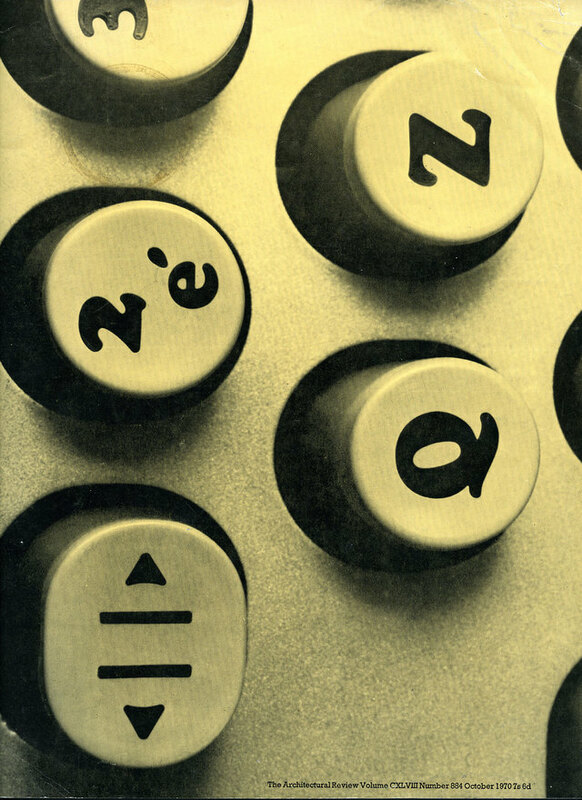 It was slippery, elusive, "not because there is no Australian character in building and display and product design but because it is so confused and so subtle that all but the historian or an intense student are likely to lose patience in the search." 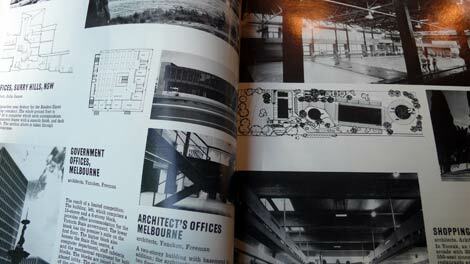 But now, leafing through these pages of A+U and looking around me in Sydney, Brisbane and Melbourne, it is entirely possible to discern a distinctly Australian contemporary architecture. 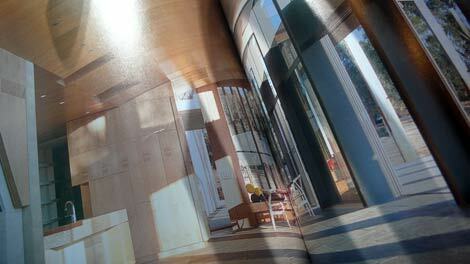 But this seems a clichéd and limited idea of Australian architecture, just as cliched as "red earth and azure sky". There is as much variation in the architecture here as there is variation between Australia's snowy mountains, tropical wetlands, interior desert and sophisticated coastal cities. 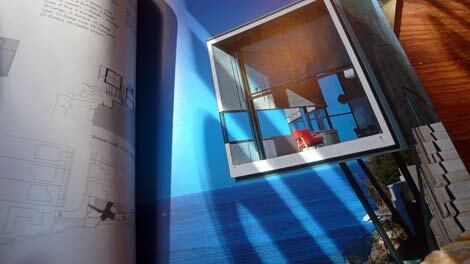 Yet it's the alluring Australian Dream-Home architecture featured here in A+U. 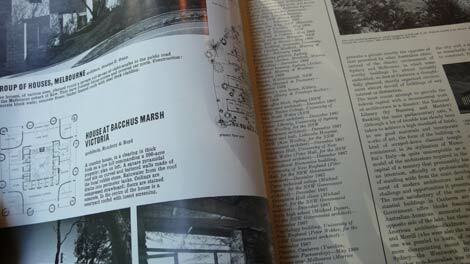 I snap out of this glorious sun-drenched dream when I recall an old copy of The Architectural Review from 1970 (No. 884 October 1970, picked up for a fiver at Margaret Howell). 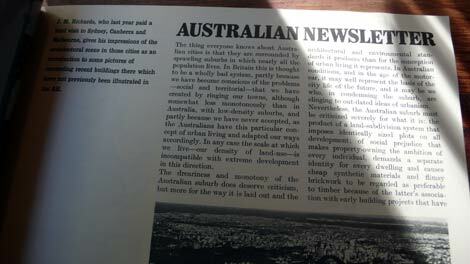 That issue featured an 'Australian Newsletter' by its legendary editor J.M. Richards (see bottom of article for the full scanned pages). 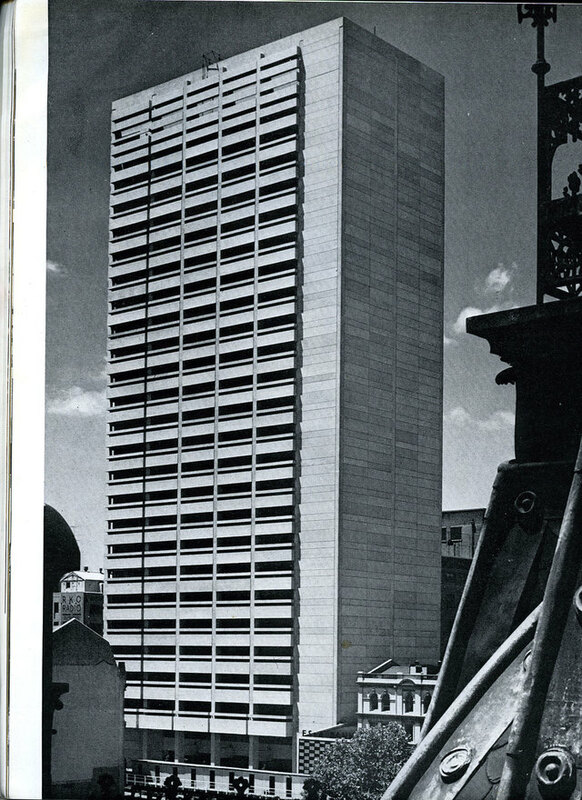 Despite best intentions, the article is suffused with a snobbish demeanor and insularity that would probably have driven any self-respecting Australian architect mad, cultural cringe or not. And yet, by only seeing Australia refracted through his own cultural context of European modernism - and at least admitting it - Richards accidentally stumbles upon the future for an Australian architecture not featured in A+U. 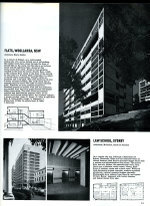 In his 'Australian Newsletter', there are far more urban projects, which mostly comprise high-density building for multiple inhabitants - public swimming pools, apartment blocks, art galleries, town halls. There's only one detached dwelling in there, alongside two small housing estates. In a sense, this makes his little newsletter a far more progressive document than this latest edition of A+U. 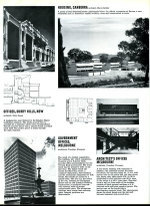 "The Australian suburb must be criticised severely for what it is: the product of a land sub-division system that imposes identically sized plots on all development: of social prejudice that makes property-owning the ambition of every individual, demands a separate identity for every dwelling and causes cheap synthetic materials and flimsy brickwork to be regarded as preferable to timber because of the latter's association with early building projects that have degenerated into slums; and reliance on speculative developments without strict enough control of land-use." His roots were showing - note the emphasis on planning, control - but there was a truth there, written more deeply about by Boyd in '... Ugliness'. In that light, the architecture in A+U is a thorough excoriation of that perceived lack of building quality, 40 years on. 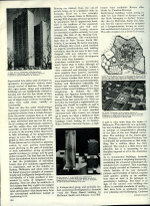 But there is little in A+U that indicates a subsequent attempt to deal with the flawed urban form Richards wrote about. 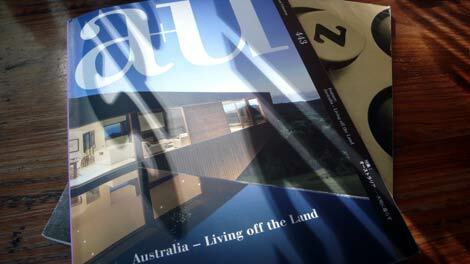 And while differing editorial sensibilities between The Architectural Review and A+U also have to be taken into account, the latter's focus on Australian Dream-Homes suddenly seems anachronistic. "In Australian conditions, and in the age of the motorcar, it may well represent the basis of the city life of the future, and it may be we who, in condemning the suburb, are clinging to out-dated ideas of urbanism." "The problem lies neither in individual projects nor in their designers, but in the detached dwelling type itself, and in the energy intensive infrastructure required to support the low-density settlement patterns it generates. After over two centuries of mostly reckless development, the habitable land and natural resources of Australia, which were always far more limited than the size of the country suggests, have been stretched to the point of exhaustion, with worse to come ... A sustainable strategy for development must include substantial increases in the density of the urban population, supported by a major shift from private to public transportation - strategies which directly challenge the Great Australian Dream so eloquently expressed in these houses." Still, it's inconceivable, and would be ill-considered, to suggest that the Australian Dream-Home architecture represented here will diminish. 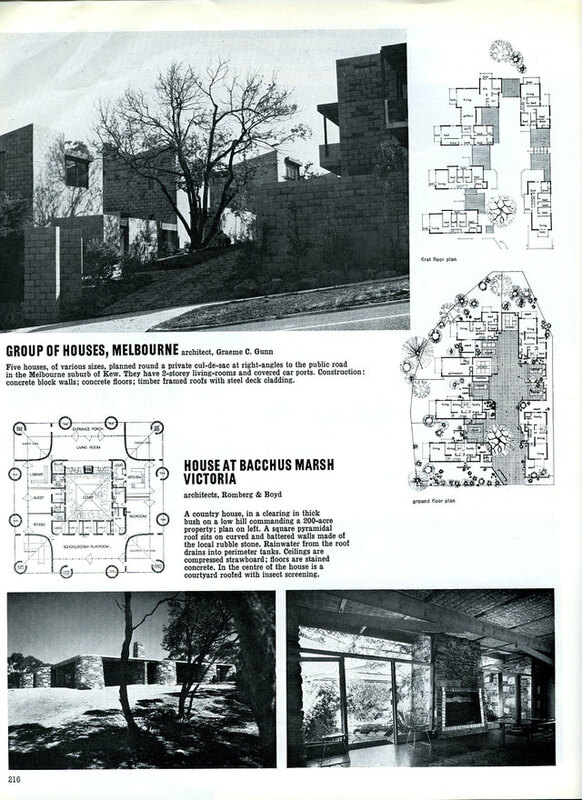 As Goad notes, the "detached single-family house in Australia has been, and for the most part, continues to be the major laboratory of architectural experiment and innovation." This kind of building needs to exist; and no doubt there is demand. It represents a pinnacle of craft, and these projects have been carefully curated to embody the ne plus ultra of this architecture. 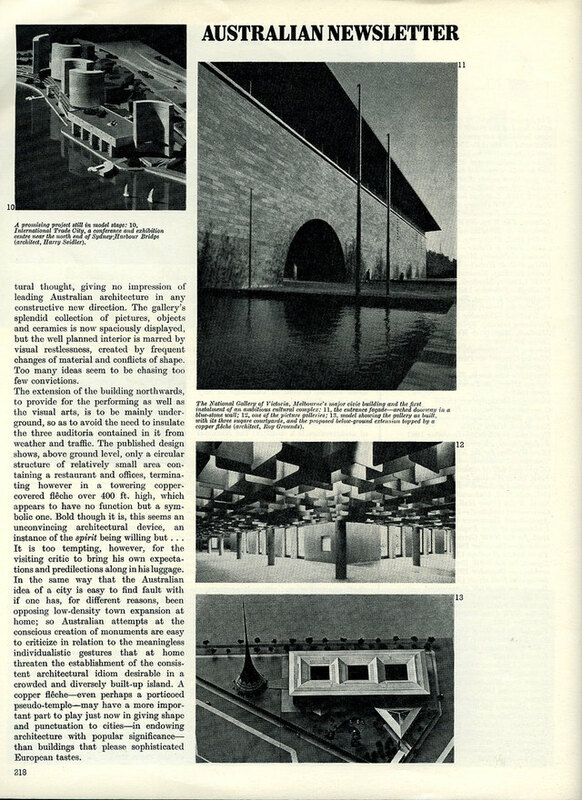 Goad also makes clear that they're emblematic of a particular kind of architecture, ending his essay with a subtle critique of 'big architecture', as well as the more indulgent end of discourse around a digital architecture. He argues that "in Australia, there is much virtue in slowness and the small, because they also have implications for a greater vision of the world." He draws on a phenomenological foundation here, reinforcing the importance of conjoining "body, place and making", accommodating human scale and the creation and challenge of place. I wouldn't argue with this one iota, but I would like to see some ideas for how this can manifest itself in higher density building too, and in typologies other than the detached dwelling. 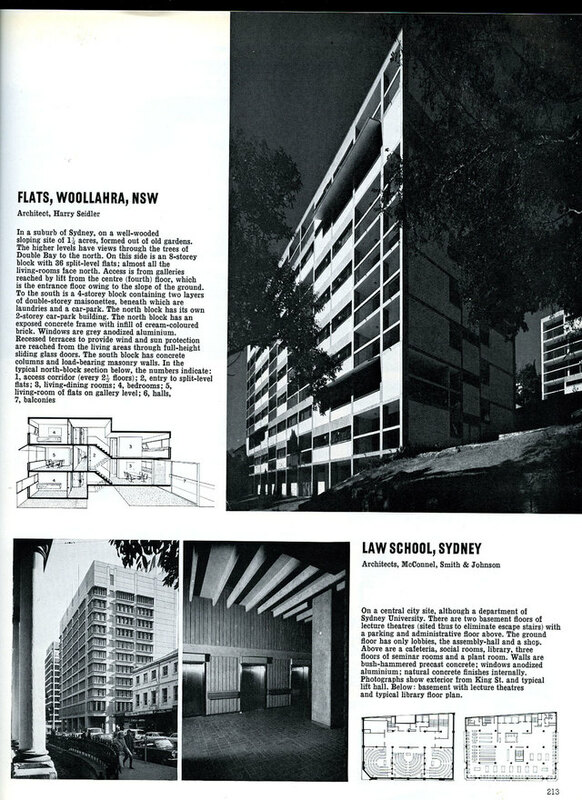 One example from Australia might be John Wardle's recent DOCK 5 development in Melbourne's Docklands, likely to deliver far more enjoyable high-density living than that which resulted from the Harry Seidler Sydney blocks covered in Richards' Australian Newsletter. 'Bigness' is over-exposed in the architectural press, and Goad is right to resist it in favour of dwellings with a genuinely human scale and a depth of meaningful experience derived as a result. Yet there is still something in Richards' little 'Newsletter' and his coverage of the municipal and the civic, missing from the seductive lustre of A+U. 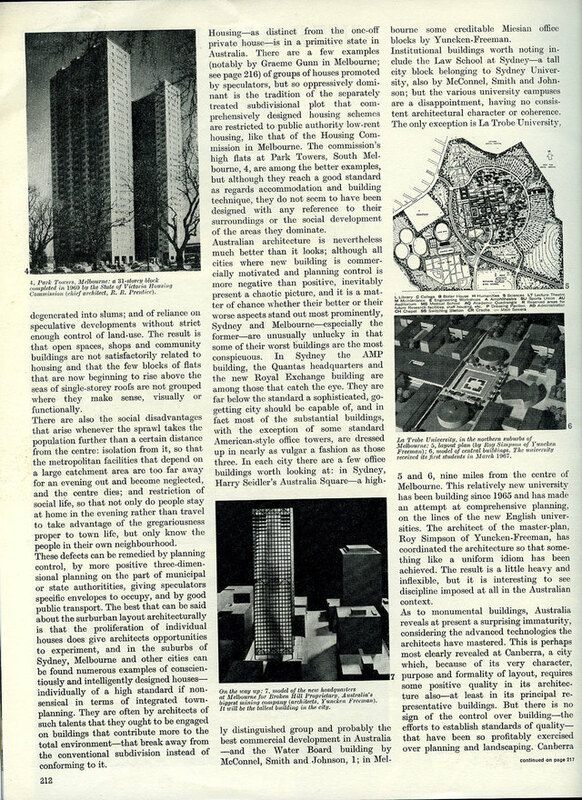 Ironically, Abel's words suggest that we've ended up with similar conditions to that which led earlier European architects and urbanists to shape the European city in the 20th century - a drive towards high density living, with shared public space and high quality public transportation. Not through the lack of space that defines Europe, but through lack of resource. The Australian landscape still has "no apparent limits" in terms of dimension; it's still effectively infinite. Yet other limits are now all too obvious, even to the naked eye, as the Snowy Mountain reservoirs become dusty, cracked craters and the Murray River needs our assistance just in order to limp through to the ocean. Boyd wrote "The Australian ugliness begins with fear of reality", and to hide from this new reality would be an ugly act indeed. So if the A in A+U is as well represented, albeit within the perfect iterations of the 'small house' that Boyd suggested defined Australia in 1952, the U has gone missing. Drawing from recent history again, we find another trail gone dead in a quite brilliant speech by Gough Whitlam, written just before he became Prime Minster in 1972. I urge anyone interested in developing cities to read it. There is little there that isn't relevant now, yet it's written, spoken, in the language of the time, as with Richards. Messages emerge as high-handed 'Government Responsibility for Cities' and the inflections would certainly be articulated differently now - but probably also without Whitlam's considerable verve, insight and elegant phrasing. 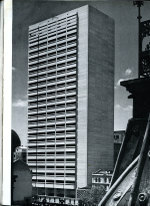 But in seeing cities as the solution, Whitlam was laying bare the issues that still face developed nations. "The required restructuring of the economy can be nothing short of a restructuring of the society. And to restructure the society, we have to begin at the heart of society--the cities which we must rebuild, the new cities we must build, if the cities and the society are not to be destroyed. But destroyed they both will be, by drift and by default, if Australia pursues for the next quarter-century the course of wasteful neglect of the past quarter-century. We have the chance once more to be pioneers and revolutionaries. New cities can be the new frontiers, and we can, like the best of revolutionaries from the Gracchi on, strive to replenish and restore the society by uniting the city and the country. " 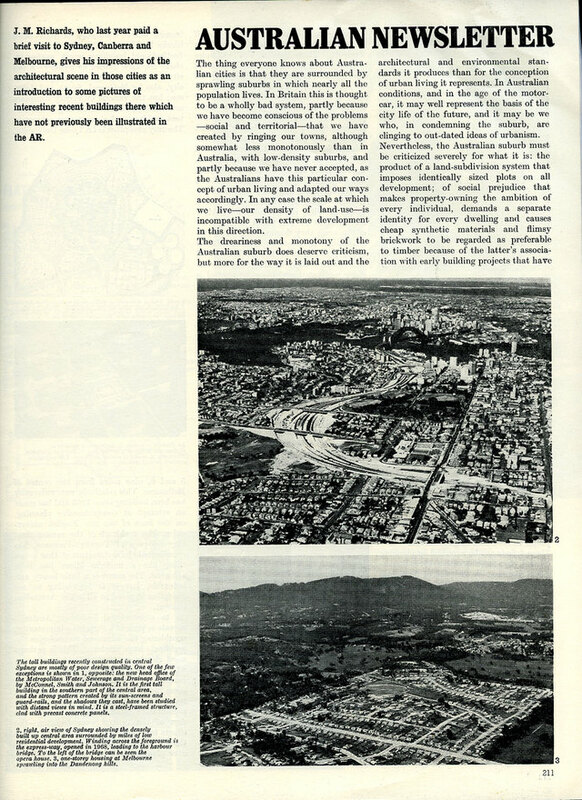 Planning the 'new cities', as Whitlam and Richards both saw it, wasn't quite the solution . 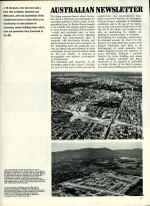 But ignoring urbanism altogether, as this issue of A+U all but does, denies the possibility of cities as the solution. And in Australia, cities are where everyone actually lives. A Great Australian Dream that could, in Goad's words, "offer a vision of the world" would be to derive a broader Architecture and Urbanism that responds to its new environment. These A+U Dream-Homes do that, in a sense, but rarely in a scalable fashion. They offer beautiful local solutions to particular physical nooks, whilst conveying a sense of how to build with great beauty and purpose on the small scale. But there is little here - save for Iredale Pedersen Hook's Walmajarri Community Centre, O'Connor + Houle's Heide Museum of Modern Art, and Gregory Burgess Architects' Twelve Apostles Visitor Centre - that has, say, a broader municipal purpose or aligns more than a few people in the same shared space. 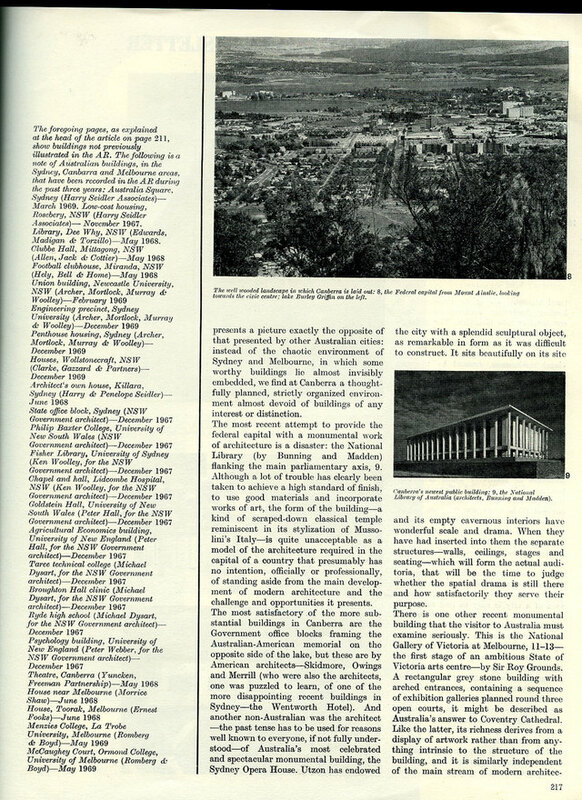 That would not only address the moral and economic benefits of cities that Whitlam hoped for, but also illustrate a sustainable way of living in a country particularly challenged by that. The dream could be to find an urban architecture for Australia, upon networks of public transportation, civic institutions and shared space, that also retains the precision, craft and "conjoining of body, place and making" we see in A+U. 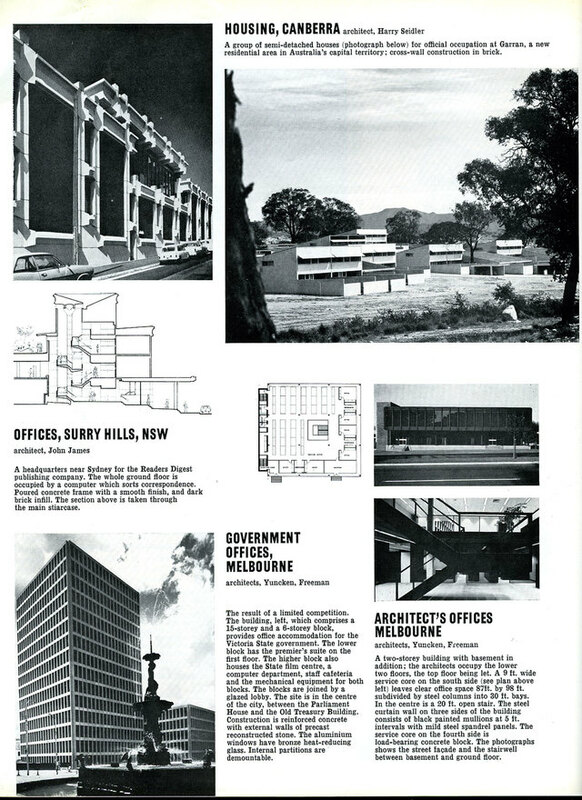 A new city, using Whitlam's terms, that derives its buildings from a synthesis of this 2007 Japanese magazine and that 1970 Australian Newsletter. If, as Tim Flannery says, "Australia is a harbinger of what is going to happen in other places in the world", then the architecture that emerges from this combination of skill and invention, ancient landscape and new environment, could be a harbinger for much of the rest of the world's architecture too.